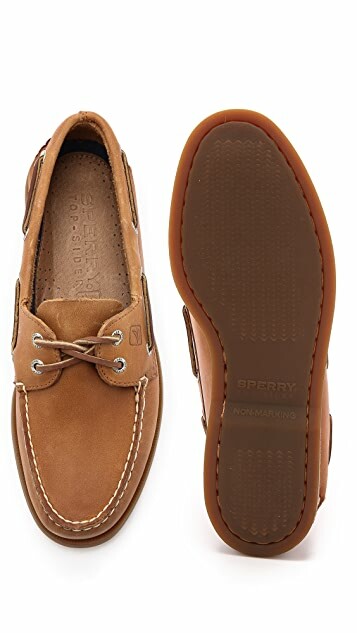 Sperry Top-Sider makes footwear built on tradition. 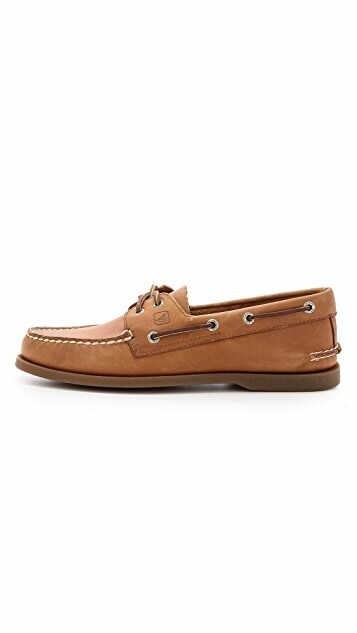 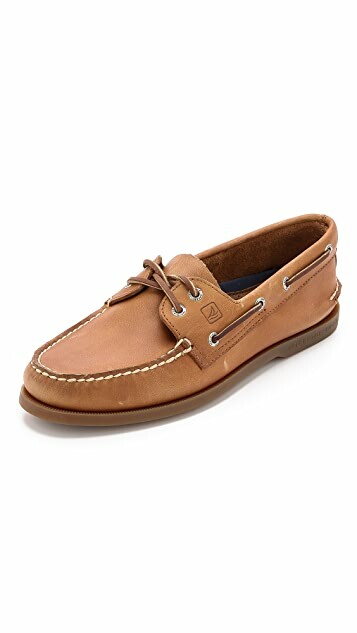 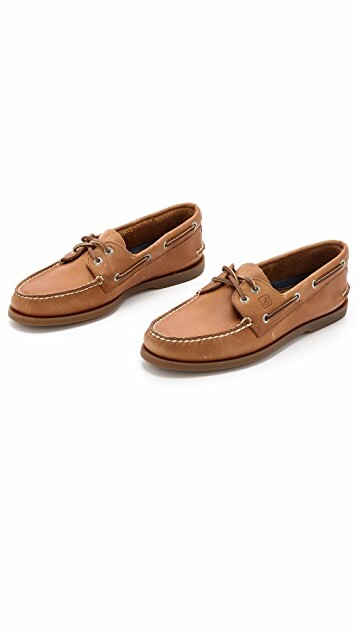 This classic 2-eye boat shoe has an all-leather upper. 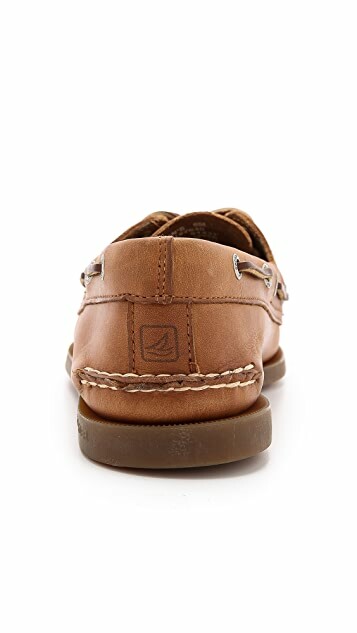 The rubber outsole is outfitted with the brand’s Wave Siping, which provides excellent wet and dry traction.